In the last decade we have seen the demarcation between product development and software development becoming increasingly blurred as software becomes a larger component of product delivery. 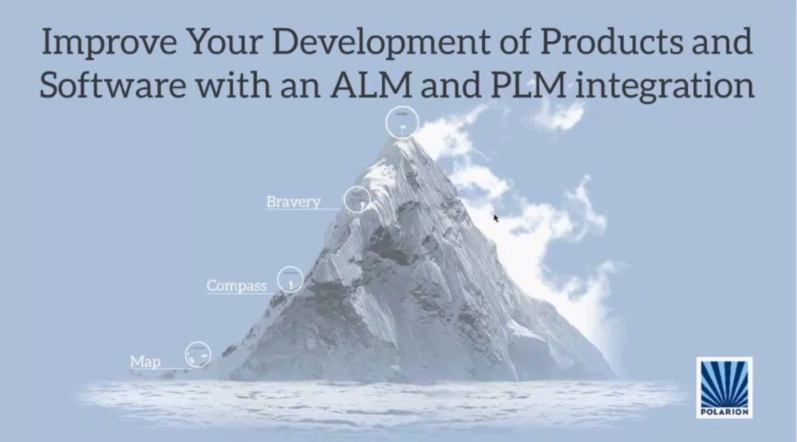 One of the issues that has arisen as a result of this blurring is the disconnect between Product Lifecycle Management (PLM) tools and Application Lifecycle Management (ALM) tools. 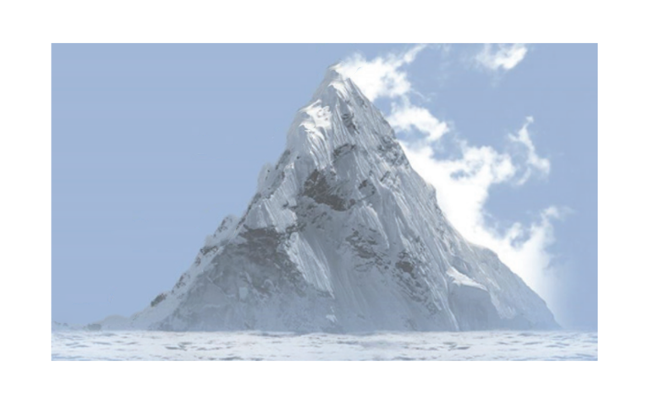 Today’s leading PLM and ALM tools evolved independently, addressing different issues, opportunities, and processes. Lacking a common “language”, traditional approaches to integration have provided only marginal opportunities for synchronizing these two worlds. 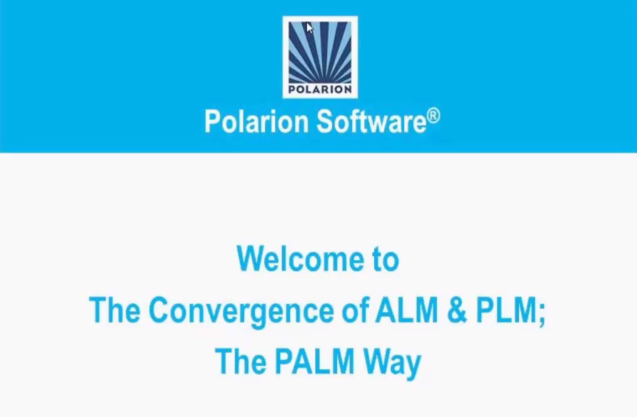 The Teamcenter Polarion Integration is a breakthrough in ALM-PLM orchestration and interaction. Leveraging the very latest developments in linked data integration technology, the Teamcenter Polarion Integration ensures that product development organizations have a single, cohesive product ecosystem, with bi-directional associativity between ALM and PLM data and processes. Seamless ALM-PLM interchange unlocks tremendous cross-system and cross-team synergies, reducing design and development errors, and helping organizations make smarter decisions and better products. Multi-system lifecycle integration where linked data and process orchestration efficiently incorporate an interactive user experience. Seamless, non-intrusive collaboration across systems, disciplines, and teams. Linked data architecture with consistent versioning and no data duplication. Single data instance reduces errors and rework and improves product quality and time-to-market. Access to data linked between remote systems via delegated UIs. Users work within their familiar tools and nomenclature. Comprehensive product definition across systems. Complete traceability from requirements to software deliveries, going through models and test data. Combines separate PLM and ALM traceability functions into a single, comprehensive product traceability function. Automatic, bi-directional linking and synchronization of related software and hardware artifacts. Supports cross-discipline lifecycle management, traceability, and audit readiness. Orchestration of change workflows spanning mechanical, electrical, and software systems. Changes/change impacts automatically propagated across PLM and ALM systems with real-time notifications of system stakeholders. Integration of data and processes for synchronized testing and verification. Cross-functional defect management, process improvement, and product optimization. Easy installation and configuration. Accelerates user acceptance and time-to-productivity. Reduces total-cost-of-ownership. Over 40 Polarion ALM integrations with software tools from a wide range of vendors including MathWorks, Vector, and Rogue Wave Klocwork. Enables Teamcenter users to access an extended ecosystem of 3rd-party integrations.